Make it the same time every night, even on weekends. Aim for something realistic you can hold to. If you’re guilty of burning the midnight oil on a regular basis, consider scaling back in 10-15 minute increments until you’re hitting your goal bedtime regularly. Optimal sleep temperature can vary for everyone. Sleep experts say it’s on the cool side, but not so cold you have to pile on the blankets (or you get that dreaded, sweaty/freezing pattern—a total sleep killer). Somewhere around 65 degrees seems about right for most people. If you’re a flamingo and your spouse is a polar bear, it can be a challenge to find a compromise. Use a breathable comforter made with natural materials and try keeping your feet covered with socks or an extra blanket, which can help your body stay warmer. This is a tough one, especially for those of us who do some Pinterest browsing before bed or read books on our phone or e-reader. Studies show the light emitted by electronic devices can disrupt our circadian rhythm or natural biological sleep patterns. Try to turn off your electronics for a good half-hour before you attempt sleep. You’ll get a better, more restful sleep. Watch out for hidden sleep interrupters—digital clocks, lights on televisions, and lights from your phone. Even these small amounts of electronic light can send our brain the signal it’s time to be up and awake. Personally, I can’t have caffeine after mid-afternoon or I’ll wake up mid-sleep with my mind racing. Each person’s tolerance is different. That said, energy drinks, caffeine and even getting your body geared up with exercise interfere with restfulness. Smokers are especially susceptible to sleep disruption due to nicotine (as if you needed one more reason to quit). Try to avoid anything that makes you feel stimulated and awake for a few hours before bed. Ease into sleepy time. A nice glass of wine can help you wind down in the evening and relax before you hit the hay. Two or three glasses? 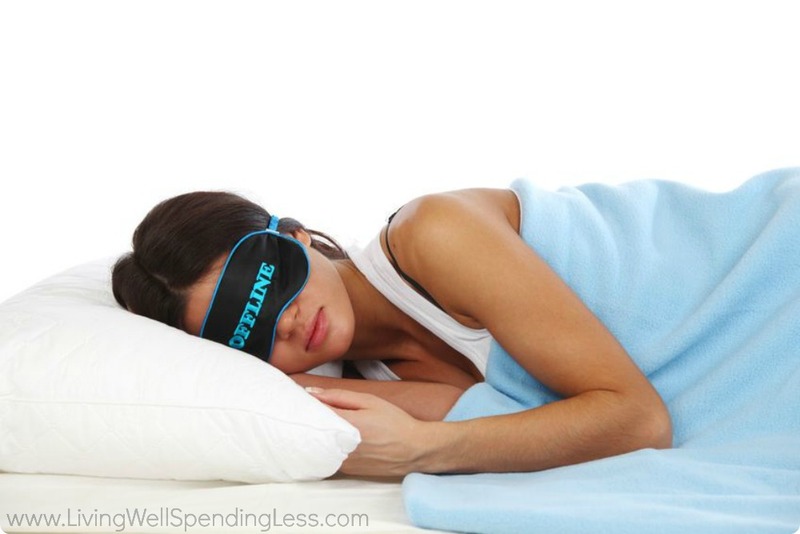 You won’t be getting quality or restful sleep. Same thing goes for heavy, spicy or greasy foods. Every woman who’s been pregnant knows the horrible woes of heartburn at night. It’s awful and impossible to sleep. Heavy, rich foods can have the same effect, which often worsens when you lie down. Avoid the whole issue by steering clear of a pre-bed trip to the freezer for ice cream or a snack of chips and pepper jack cheese.